The LX10 is a compact, simple to use practice amplifier delivering great Laney tone for electric guitar.The LX range of solid-state electric guitar amplifiers offers legendary Laney guitar tone and reliability from practice room to stage.BRITISH DESIGN With a 5” driver and 5 watts RMS the LX10 is a mini tone monster. 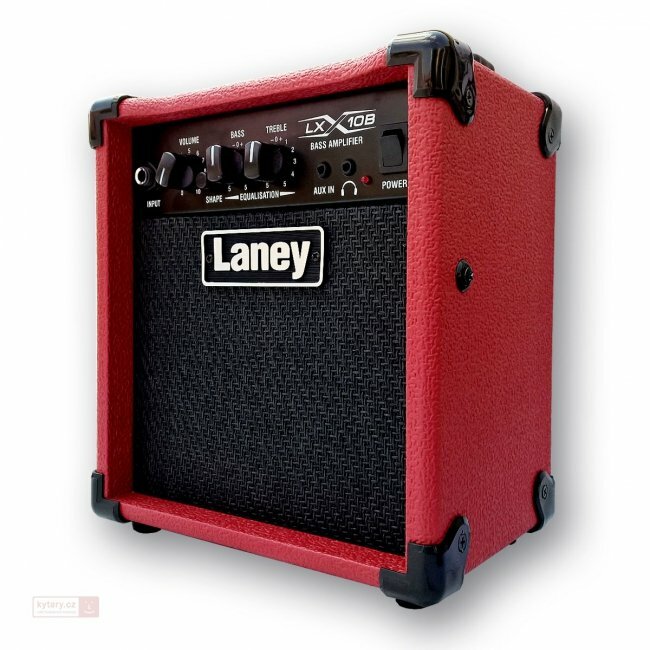 The LX10 allows you to find legendary Laney sound at a very modest price. SIMPLE TO USE Ideal for a beginner, the LX10 features a simple-to-use preamplifier with volume control and 2-band EQ. A Drive switch quickly adds overdrive. PRIVATE PRACTICE The mini-jack AUX input, allows for connection of a playback device such as MP3/ipod/CD for jamming along to songs or backing tracks, plus there is a headphone socket for doing so quietly –a great feature for private practice or late night sessions. GREAT TONES From these simple controls an assortment of great tones can be found from spanky clean to overdrive sounds with real punch. The LX10’s performance far outweighs its compact size.